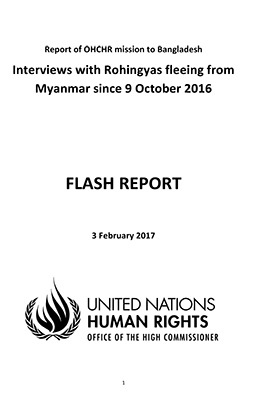 According to the UN, Myanmar has engaged in a campaign of ethnic cleaning [JURIST report] against Rohingya Muslims that has caused the displacement of more than 600,000 people. 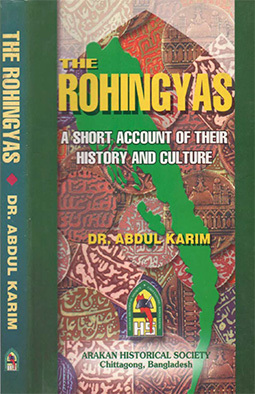 Among other things, Cardi cited systematic killings, sexual violence, violence against children and destruction of homes as being among the many abuses and violence committed by the security forces.In September Myanmar State Counsellor Aung San Suu Kyi [BBC profile], after weeks of silence, addressed [JURIST report] the human rights violations concerns, pledging that “[a]ction will be taken against all people, regardless of their religion, race and political position, who go against the law of the land and violate human rights.” But Amnesty International (AI) [advocacy website] was skeptical of Suu Kyi’s statement, saying: “at times she and her government are still burying their heads in the sand over the horrors unfolding in Rakhine State. 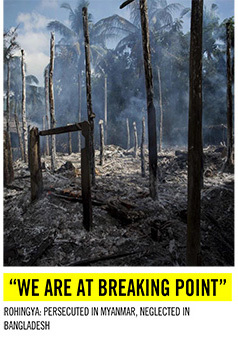 At times, her speech amounted to little more than a mix of untruths and victim blaming.” AI particularly pointed to the Myanmar government’s refusal to allow UN investigators into the country. Acknowledging the initial steps taken by the government to to provide humanitarian assistance to individuals in Rakhine, Cardi called on Myanmar to: Cooperate with all relevant United Nations bodies, mechanisms and instruments, in particular the United Nations High Commissioner for Human Rights, and to continue further consultations on opening a country office of the Office of theUnited Nations High Commissioner for Human Rights (OHCHR) [official website]. The Security Council calls upon the Government of Myanmar to urgently grant domestic and international media organizations full and unhindered access to Rakhine State and throughout the country and to ensure the safety and security of media personnel. Cardi further stressed that the Myanmar government has the primary duty to “protect its population including through respect for the rule of law and the respect, promotion and protection of human rights.” Stating that the UNSC will closely follow further developments in Myanmar, Cardi requested the UN Secretary General [official website] to brief UNSC on the situation in Rakhine within 30 days of the adoption of his statement.